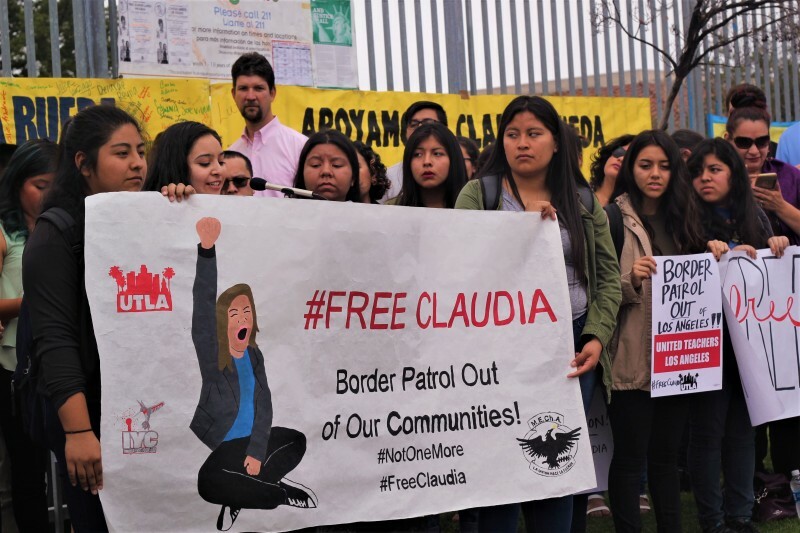 Undocumented student Claudia Rueda freed | Fight Back! 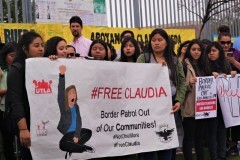 Los Angeles, CA - Public school teachers at Roosevelt High School (RHS), joined by professors from Cal-State LA and students from RHS Magnet joined together to demand that authorities free 22-year-old Claudia Rueda. Only a week after Rueda helped organize the successful fight to free her own mother, Teresa de Vidal Jaime, from custody, Rueda was taken from her home by ICE. On June 8, Rueda’s mother Teresa, Rueda’s sister, her aunt, students, teacher, professors and community members all lined up to give testimony about Rueda being influential and inspiring. Organized by M.E.Ch.A de RHS, the United Teachers of LA union, ICE out of LA, and the Immigrant Youth Coalition, the event had a strong and energized turnout. Teacher Arlene Inouye spoke of the Japanese concentration camps and about how her grandmother was taken from her home and put in the camps. Inouye insisted that organized efforts are the key to succeeding against ICE and deportations. Rueda was in the middle of moving when sheriffs showed up at her door to detain her. Rueda was then transferred to the Otay Mesa Detention Center near San Diego. Efforts in LA, San Diego, as well as public outcry ultimately led to the freeing of Rueda on June 9. Rueda’s next steps are to have her case reviewed, and to be eligible for DACA.